On New Year's Day 2017, Damon Graham's morning started like any other NFL Sunday: He got up, watched some football and headed to his 1 p.m. shift at a Las Vegas Starbucks. By the time he took his break a few hours later, he'd won nearly $900,000. Graham became the latest winner of the Westgate Las Vegas SuperContest, an NFL handicapping competition that started as a local event in the late 1980s and has since become the premier gambling contest of its kind. Through ownership changes and remarkable growth, the basics have remained the same: You plop down the $1,500 entry fee and then pick five NFL games against the spread each week during the regular season. Every correct pick is worth a point, every push half a point. Most points at the end of the year wins. The simplicity is the allure. Graham beat 1,853 contestants that season, and every year social media juices the growth of the SuperContest even more. As the competition expands, it naturally gets harder to win: While Graham bet correctly on 65 percent of his picks, SuperContest winners are increasingly finishing above 70 percent. That's unbelievably accurate for Vegas, where a bettor generally needs to hit 52.3 percent to make money above the standard vig (the amount charged by a bookmaker to take a bet), and the pros have a good year if they beat the house 55 percent of the time. So how exactly did an underground contest among Vegas insiders become a million-dollar national sensation, one where a new wave of bettors, far from the Strip, take home quit-your-day-job money? The SuperContest's rise is not just a matter of luck and timing but also a reflection of the people who created and play this super-rich, super-tense, super-fun competition. In the 1970s and '80s, Las Vegas casinos started looking for new ways to attract business. Some bookmakers offered odds on unusual topics, such as who shot J.R. Ewing on "Dallas." The SuperBook at the Las Vegas Hilton decided to take a different approach. Dave Tuley, Senior Reporter, Vegas Stats and Information Network (VSiN): Contests in Vegas casinos -- football, horse racing, slots -- have always been about driving people into the property so that they then stay for dinner, go to a show, gamble in the casino. Jimmy Vaccaro, longtime Vegas bookmaker: Casinos don't make any money from contests, but back then you came in to pick up your ticket and then you brought it back in -- which means we got you two more times during the week. Johnny Avello, Director of Sportsbook Operations, DraftKings: The SuperBook opened in 1986. There was nothing like it. And then they launched the contest. Art [Manteris] launched it. That was his baby. Jay Rood, Vice President of Race and Sports, MGM Resorts: You didn't know about it unless you were in the business. Even then, you could walk up to 10 people in the book and nine of them wouldn't know about it. Chris Andrews, Sportsbook Director, South Point Casino: Not everyone has $1,500 to throw around. Anyone who entered it was a relatively serious handicapper. Bob Scucci, Vice President of Race and Sports, Boyd Gaming: In the early '90s, our Stardust Invitational handicapping tournament was going on at the same time. Most of the radio shows compared the selections of our handicappers -- we only had 16 -- against the consensus plays at the SuperContest. A lot of our guys were in the SuperContest as well. Art Manteris, Vice President of Race and Sports Operations, Las Vegas Hilton (1986-2001): We tried to add different features. If you picked over 67 percent winners, you'd get a bonus whether you won the contest or not. We also had a separate contest for the last four weeks of the season to re-entice folks who were out of the running. Tuley: I started following it in 1999. At that time it was Las Vegas locals, professional bettors and then some players from around the country who knew people from Vegas and heard about the contest. The SuperContest requires contestants to submit weekly entries in person. However, a proxy is allowed to manually submit picks each week, as long as the contestant signs up in person before the season. What started as favors for friends quickly became a cottage industry in which proxies can charge about $300 per entry for the season. Contest.com: The first year, we were doing it for a handicapper out of Detroit. I would come down here, grab the line on Tuesdays, fax them to him and then he would send me all the picks. I'd come back down to the SuperBook on Thursdays and Fridays to enter them. Contest.com: It sounds a little crazy and shady that I am going to fly out to Vegas and meet with some guy who is going to handle my picks for the season. Chuck Esposito, Sportsbook Manager, the Hilton (1987-2000): We had a plexi board in the back of the SuperBook that would have all the games listed. We'd use a marker to put an X next to the team for each play they had. Guests would gather and wait for us to manually list all the teams that were popular. They would come up with a piece of paper, write everything down and run over to the counter to play the most popular teams listed on the SuperContest board. Rosemary Rocco, teller and manager at the Hilton: Oh my goodness, you can't believe how we used to post the results. When you walked into the sportsbook from the parking lot, we had a big board out. Every entry name had to be sent out to a printer for the board, and as the standings changed, I had to rearrange everybody's names. Take one sticker off, put another on. I made this makeshift ruler so it was easier for me to pick their selections for the week. It took three of us. We did the board manually twice a week. It took about 98 percent of my day, and that was with a couple hundred entries. 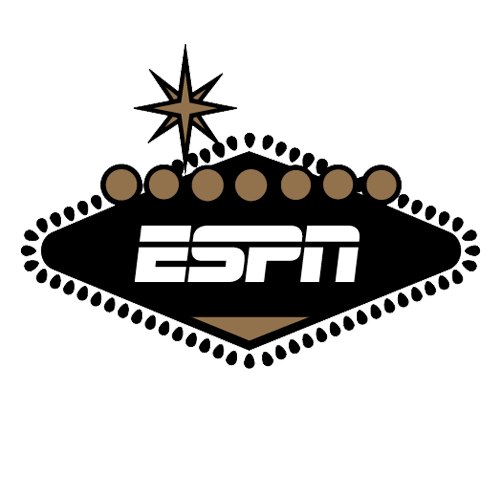 The SuperContest was still primarily a local contest with a few hundred entries when Jay Kornegay and his team moved to the Las Vegas Hilton (now the Westgate) to run the sportsbook in 2004. They made some adjustments to the contest but kept the basics the same: five NFL picks every week, $1,500 entry fee. Jay Kornegay, Executive Vice President of Race and Sports Operations, SuperBook: We expanded the payout pools as the contest grew. We surpassed 500 entries in 2005, and we were celebrating. Manteris: There were a number of disputes that arose from people missing the deadline to submit picks. Those contest rules are your contract with all participants. If it says the selections have to be in by 1 o'clock on Friday afternoon, then you can't turn them in at 1:05. There is no gray area. Ed Salmons, Vice President of Risk Management, SuperBook: The excuses are always hospital-related. It's always the hospital. Rocco: We had some firemen from Chicago in the contest. Every week they took turns coming out to put their picks in. After 9/11 happened, they all went to help out in New York and couldn't get out here to put their picks in. I had to say there was nothing I could do. That tore me up. Every time I think about it, I wish I could've done something. In 2010, Steve Fenic, a professional bettor known as Fezzik, put the contest on the national media's radar when he won for a second year running. He took home more than $400,000. Fenic: [My wins] showed, "Hey, there is a lot of skill in this." Chad Millman, Head of Media, Action Network: I did a column about the SuperContest in ESPN The Magazine, about how it was a little bit like the World Series of Poker for professional bettors. At the time, this guy Fezzik had just won. Around then, Bill Simmons entered the contest. And when Bill talks about something, he's got such a huge audience that it just blew up from there. Cousin Sal, TV personality: We weren't losing enough money on our own, so we said, "Hey, why don't we cough up $1,500 a year just to say we've lost before the season even starts?" Simmons thinks he should get a free entry for life. Millman: Every year I remind Jay that without me, the SuperContest doesn't exist. And he continues to laugh at me every year. Matt Youmans, professional gambler and VSiN host: Those guys get too much credit. The majority of the SuperContest's boom is because of social media. Patrick Everson, Senior Writer, Covers.com: If you follow the rise of Twitter over the last 10 years and put it on a chart with the rise of the SuperContest, you have arrows that are going to look pretty similar. Joe Fortenbaugh, radio host and Covers.com writer: I think it was 2009 or 2010 that I heard about it. My buddies told me, "It's this contest out of Vegas. You pick five NFL games a week, $1,500 buy-in." You hear that and think, "This is so easy. Why am I not doing this?" The SuperContest sounds so simple for people who don't even understand gambling: Just pick five games against the spread. That's it. Brady Kannon of Sans Souci Team, 2011 winners: A friend asked if I wanted to be on his team. I never thought about playing in the contest because it was $1,500. These guys asked me about it and I said, "Oh, so it's only going to cost me $300." We were a team of five; it was real simple. Everyone just turned in one pick. Every Friday we'd say, "Who is your pick?" and that was it. When we went down to four guys on the team, we decided that each week a guy would be what we called "The Deuce." He'd make two picks. And we would rotate who was The Deuce each week. Simo: I like to think we [proxies] played a part in the rise. Once people find out they can use us to put their picks in, they are in. Tuley: In 2007 or 2008, the Hilton refused to post the plays online because they wanted people to come down, stay for dinner. They finally realized that half of the people putting in their plays are not in town, so no matter what they do, they aren't getting them to come down every Friday night. Simo: In 2009, the first year [Toni and I proxied together], there were 328 entries. We were a proxy for 11 and thought we were doing pretty good. The next year, there were 345 entries and we had doubled. Kannon: One of my teammates calls me during the season and says, "What have you done to me? I'm going to get fat because I sit on the couch all Sunday. I'm going to get a divorce because I'm watching football all day long. I'm going to pull my hair out because this is so nerve-wracking. At the same time, I'll probably have a heart attack." He paused and I said, "Isn't it great?" Between 2011 and 2013, the number of contestants doubled, from 517 to 1,034, and the SuperContest became truly super, even adding a winner-take-all Gold edition. This season saw an unprecedented 3,123 entries and a $1.4 million payout for the SuperContest winner. Tuley: [The rise] was always a combination of factors. The perfect storm came together. Millman: It's no longer the professional bettors in Vegas who are considered the sharps and everyone else who doesn't live in Vegas considered a square. There is an entire universe of people who live in the middle. Eric Kahane, Director of Business Development for Personal Gourmet Foods and 2018 winner: When I was out there in August, every time I walked by the plastic display with fake wads of cash, I just kept thinking, "I'm going to regret it if I don't do this, so where do I sign up?" John Murray, Director of Race and Sports Operations, SuperBook: [We now have] proxies putting in hundreds of entries, and you can't have them tying up your betting windows for an hour. We had to have windows only for the SuperContest because the traffic was too great. Simo: Toni was working at the Wynn. She quit that completely a couple years ago. After we hit 1,000 clients, it became a full-time job for both of us. This season was our first year doing all online submissions. We built a website where contestants can submit their picks. Murray: Now you're talking about beating a field of almost 3,200. You need to pick very, very well and be fortunate. Fenic: I used to find sports betting easy to beat with hard work. There were lots of advantage plays for a pro gambler. Now it's getting harder and harder. Phil Hellmuth, professional poker player: If you win, all of a sudden you're a renowned sports bettor. I also believe that if you entered 300 monkeys in a 3,000-player SuperContest field, there's a 9 percent chance that one of the monkeys would win. James Salinas, City of Denver Parks and Recreation Administrator and 2015 winner: I didn't have a system. I have been betting football games since I was in middle school. I hear a lot of folks say they make their own power rankings, they set their own line. I don't profess to be that smart. I will let the bookmakers decide what the number is. It's up to me to decide which side is the right side. Damon Graham, former Starbucks barista and 2016 winner: When you're looking at numbers, trends, injury reports and info, the more emotion you can take out of it, the better you can do. I'm a Cowboy hater. I went like 8-2 betting Cowboys games. Just picking them and keeping emotion out of it. That taught me: "I don't care who you hate, just pick the best teams on the board." Kahane: One of the things I've learned is you don't handicap Week 1 the same as Week 5 or Week 17. The mindset was to keep focused, remember what factors are important as the schedule moves along. Brent Musburger, VSiN host and Raiders play-by-play announcer: Last year the winner hit over 70 percent. You got a pay window of 55-56 percent, depending on what juice you're paying. That's fantastic handicapping. Christopher Lewert, Director of Special Accounts for Robb Vices and 2017 SuperContest Gold winner: I'm talking to [my partners] Mike and Andy, and they're like, "It's over. We've won. There's no way we can lose now." Then the adrenaline stopped and it felt like I'd been hit with a tranquilizer dart. I was just exhausted. Salinas: It was fun to win, but it was such a relief to be done with it. Kahane: I had a big, celebratory dinner on Sunday night after the games and hit the road around 11:50 p.m. to LA. My son is 4 and couldn't care less if I win. What he cares about is when he rolls out of bed Monday morning and crawls into my bed, he doesn't want to go to an empty pillow. Lewert: We went to Vic and Anthony's in the Golden Nugget. It was one of those nights where we said, "Spare no expense. We'll take a bottle of Dom. No, we'll take a magnum of Dom." It was a bacchanalia. With business flourishing, Kornegay's team turns its gaze toward the seven states that have legalized sports betting since the Supreme Court's decision last year. How far will the SuperContest go -- and how many imitators will it spawn? Gill Alexander, VSiN host and professional gambler: The floodgates are going to open. FanDuel, DraftKings and everyone else with a license is going to do their own contest. Hellmuth: I want the most people possible in the pool. There are parallels to the WSOP. Whenever they have it online, I will enter every year. It's just fun. Vaccaro: The SuperContest has so much traction that a few years ago, I voted to not even try to go up against it. You're just wasting your money if you think you're going to outdo the SuperContest. Millman: I think the Vegas contest is special. It's an original. While nearly every state has some kind of amusement park, people still like to go to Disney World. Youmans: I asked Jay [Kornegay] about this: I think they'll make separate SuperContests and each state will have its own. Alexander: Contests are going to be massive. Not just standard brick-and-mortar casinos. Betting apps will have their own contests as well. The dark ages for contests ends this year. This story appears in ESPN The Magazine's February Place Your Bets Issue. Subscribe today!